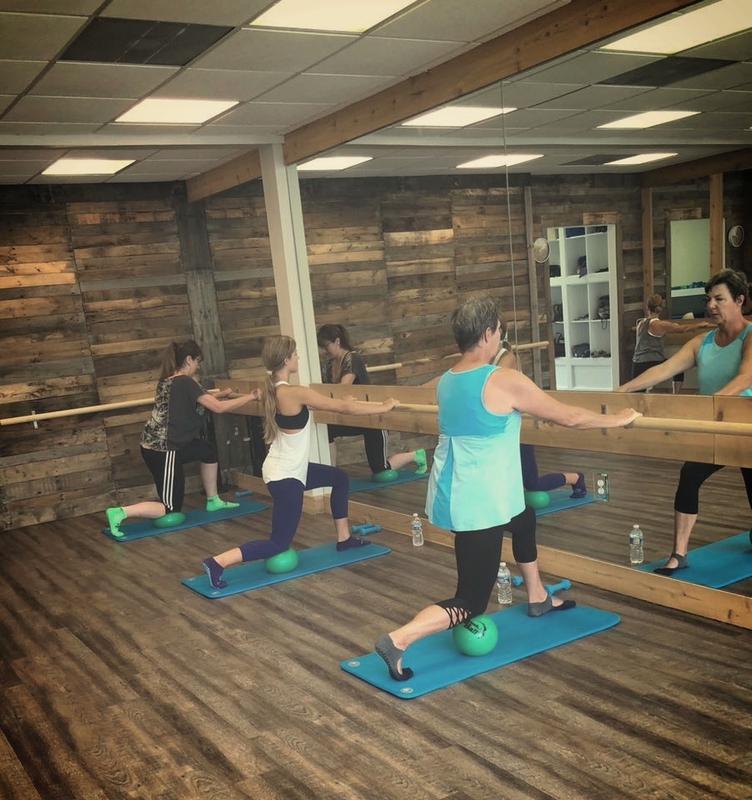 Accessible to everyone, regardless of fitness level, Barre is a full-body workout that combines the best of ballet leg strengthening, Pilates core conditioning, cardiovascular endurance, and yoga stretching. Results happen quickly due to the specific and strategic movements. No dance or ballet experience required! We also now offer Mat Pilates, which focuses on core strength as well as training the body as an integrated whole. We sincerely care about each of our clients and are grateful for the community of non-competitive, respectful, and friendly people that we've built. With a clean atmosphere and deeply committed instructors, we ensure that new and seasoned clients feel like they belong. We keep classes small on purpose: we want to get to know you and help you achieve your personal goals! New to our studio? New to barre? No worries! Our classes are safe for everyone and allow you to work to your own unique fitness level. All classes range from beginner to advanced and our instructors demonstrate modifications and options for each exercise. $79. Valid for new clients to try out the studio for one month of unlimited classes. Get a feel for different classes and instructors and get hooked on Barrevolution! $129. There's no monthly or annual contract to sign - we make it easy for you! Perfect for those attending class more than 2x/week. This plan starts on your first visit and runs for 30 consecutive days. $119. Autopay option available to make it easy (three-month commitment)! Add on a family member for $49/month. $159. Attending class 1-2 times/week? This package is great for you! $89. This package is best for those who plan to attend 1x/week. $20. Just want to just give us a try? $20 drop-in fee for any class! With Pike13 you can log in to see your account details, update credit card information, sign our electronic waiver, and manage how you want to be notified about appointments, classes, courses, and events! Tap the alert at the top of your dashboard that says "Complete a waiver before your next visit"
Tap "sign now" and our waiver will be emailed to you via DocuSign. Click "+ Add New Card"